Presbyterian Church Westminster has served Christ in the historic capitol city of Springfield since 1835 when it was organized as an abolitionist congregation by thirty founding members. 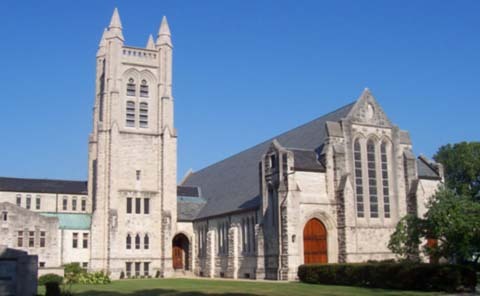 It was first known as Second Presbyterian and later changed its name to Westminster. Westminster Presbyterian Church was founded as Second Presbyterian Church on May 26, 1835. It soon became known as the “abolitionist” church as the minister, Rev. Albert Hale, was an outspoken supporter of the anti-slavery movement. Several church members were active participants of the Underground Railroad. The first building was a plain one-story frame structure, 20 by 25 feet. The second building erected across 4th Street to the west side of the street, served the congregation from 1839 to 1870. This fine brick structure seated three hundred people. Its square belfry housed the bell cast in 1840, which for many years, served as a public fire alarm in the city. This second structure has close ties to Abraham Lincoln. The Illinois House of Representatives used the building while the “Old” State Capitol was being built. In 1869 the cornerstone of the third building was laid. This large, Romanesque structure was built immediately south of the second building on the corner of 4th and Monroe Streets and seated 1500 people. The 1840 bell rang from its tower, also. The present building on the corner of Walnut and Edwards Streets was completed in 1908 under the watchful and untiring eye of the building committee chairman, Clinton L. Conkling. 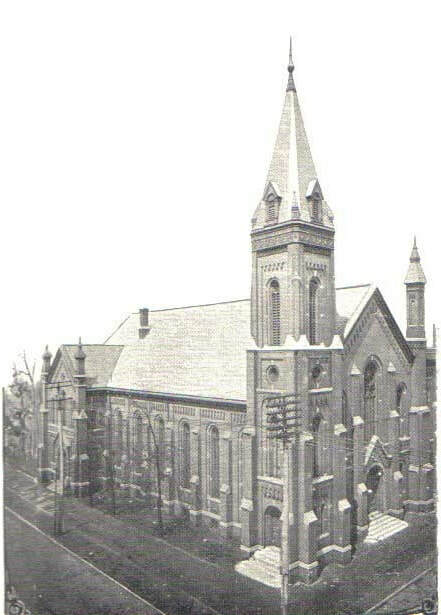 In 1919, the congregation voted to change its name to Westminster Presbyterian Church. This new edifice was built in the style of “rural early English Gothic of the 13th century” by the renowned Boston architectural firm of Cram, Goodhue and Ferguson. The stained glass windows are from the Boston firms of Reynolds, Francis & Ronstock and Charles J. Connick & Charles A. Connick. In 1988, the West Narthex, Parish Hall, music room and tunnel under the nave were added to the original 1906 building and the 1954 educational wing. The Memorial Garden was dedicated in 2001. The Celtic Cross in the center of the garden has four celtic knotworks incorporating both the St. Andrew’s Cross and trefoils. In 2002, a major renovation remodeled all classroom spaces, the nursery, the youth rooms and offices. Westminster’s four manual, six division organ was built by Robert G. Dial of Springfield, and installed in the winter of 2003. Westminster continues to be a large and vital congregation associated with the Presbyterian Church (USA), providing support and leadership in many social, civic, and ministry groups in the area. We are proud of our commitment to excellence in traditional worship, especially in the area of organ and choral music. We are striving to find new ways to serve the Historic Westside Neighborhood of Springfield in which our church building resides.